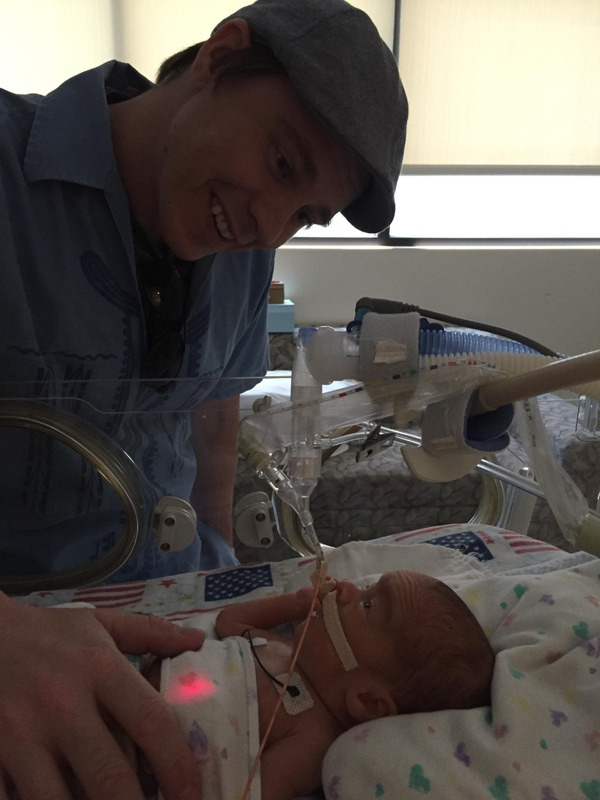 On Monday May 2nd, at just under 28 weeks gestation, Ashley was admitted to the hospital for upper abdominal pain. Her labs were found to be abnormal due to symptoms of pre-eclampsia. 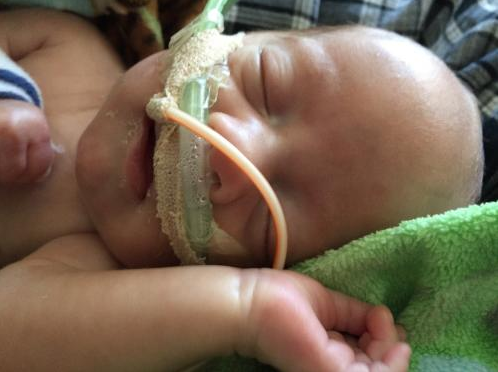 She was started on steroids and magnesium to help little Leo and his lungs. Over the next couple days, her labs improved. She was discharged on Thursday, May 5th with orders of STRICT bed rest. After just a few short HOURS at home, the pain came back and her labs/numbers were even worse than before. She was admitted to the hospital and then life-flighted to a different hospital for higher level of care for both Leo and mommy. At one point, poor daddy, John, was unsure of the fate of either of his loves. 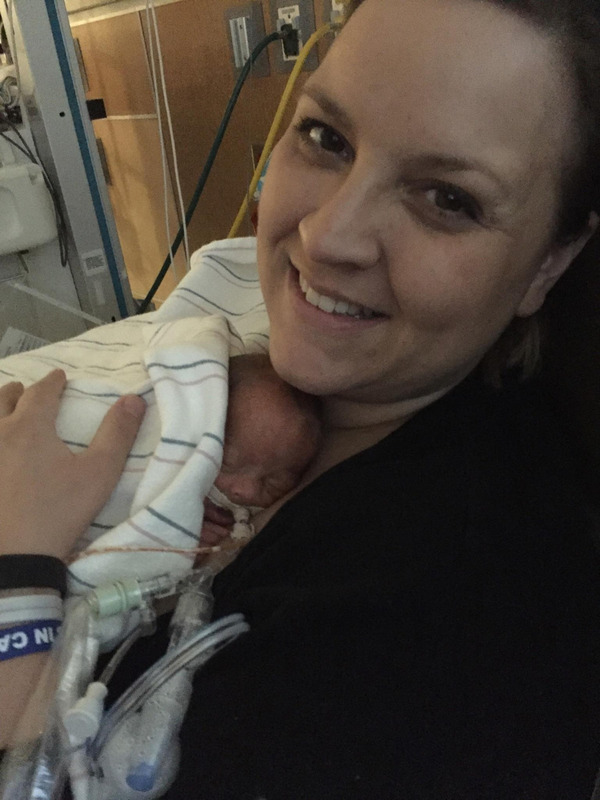 Due to the pre-eclampsia Ashley developed HELLP syndrome and required an emergency c-section. Leo Alexander was born on May 6th at 4:22 a.m. He was born at 28 weeks and 2 days gestation. He weighed in at 1 lb 14 oz and was 13 inches long. 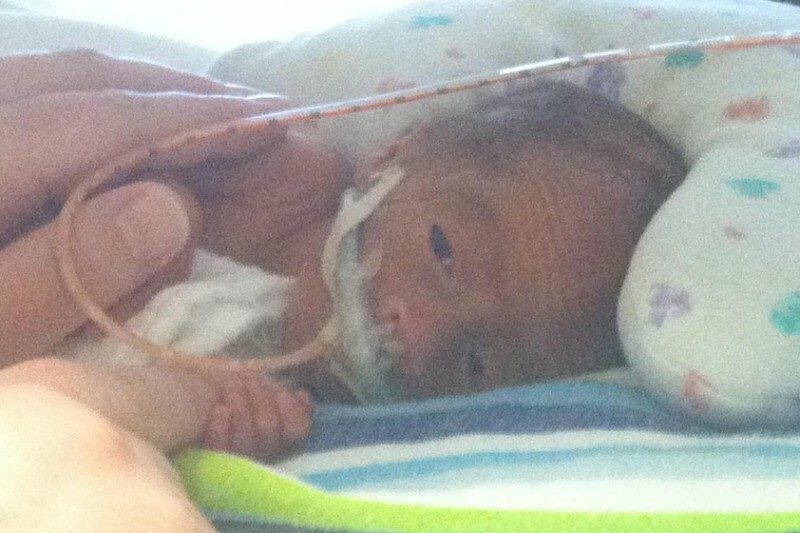 He will be in the neonatal intensive care unit as he continues to grow and his lungs have a chance to develope. Ashley also has some recovery of her own. Her labs/numbers were unstable for the first 24 hours after delivery and she was unble to see her newborn son until she had stabilized. John and Ashley live about 30 minutes from the hospital and spend a majority of their time at the hospital with Leo as he is still struggling to breath on his own. 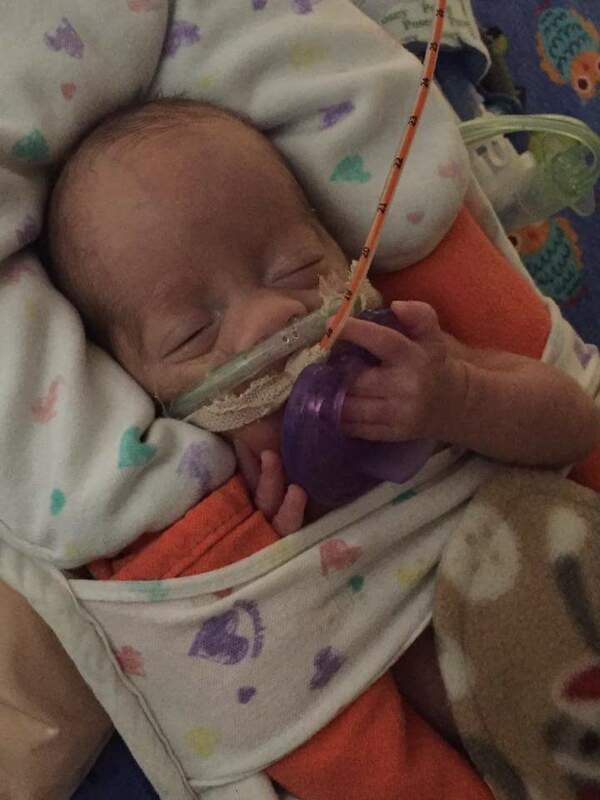 He still has a long road ahead, but is a very strong and 'strong willed' little man like his daddy and I know he will be healthy soon enough to go home with his family! John and Ashley are amazing people and we wanted to help any and every way we could. Thank you for taking the time to read their story. I forgot to add the picture... LOOK at those cheeks! Finally round cheeks! I think he even has a roll or two on those tiny legs/arms! Thank you for your continued happy thoughts and support through these past 9 weeks. John, Ashley and Leo (and their families) are SO appreciative of everything everyone has done so far. Thank you! I would just like to extend the most sincerest of thank yous from John & Ashley (and their families). After a very emotional week last week that was full of ups, downs and even a scare, having so much love and support and such uplifting messages from family and friends have really helped them pull through. They can feel all of your positive thoughts and are overwhelmed with everyone's generosity. An update on Mr. Leo: He is now ONE MONTH old and a whopping 3 pounds 3 ozs. He was started on steroids last week to help his lungs get stronger. It is looking as though it is helping as he was taken off the ventilator over the weekend and is now on a RAM nasal cannula. They will continue to lower the 'support' of the oxygen and see if he can slowly start taking over breathing on his own over the next couple of weeks. Thank you again for all of the love and support. 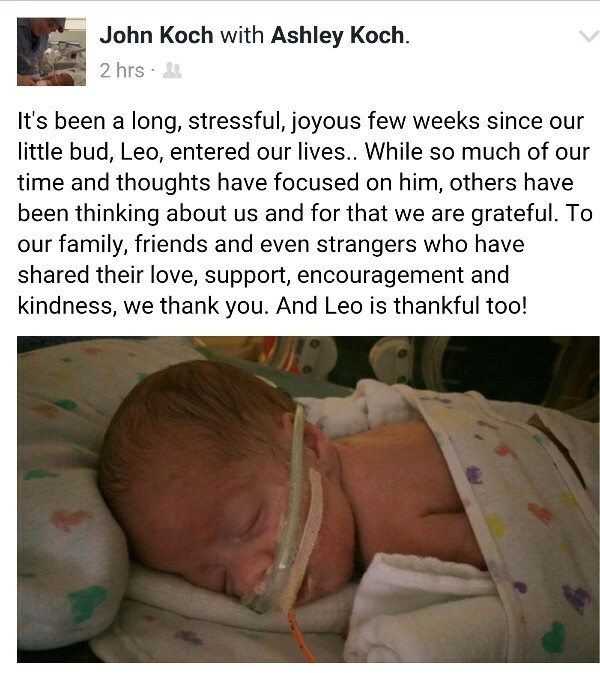 Keep Leo, John & Ashley in your thoughts. If you don't follow Leo's journey on caringbridge, I will try to update here every week or so. Sending prayers for Leo's strength and progress.